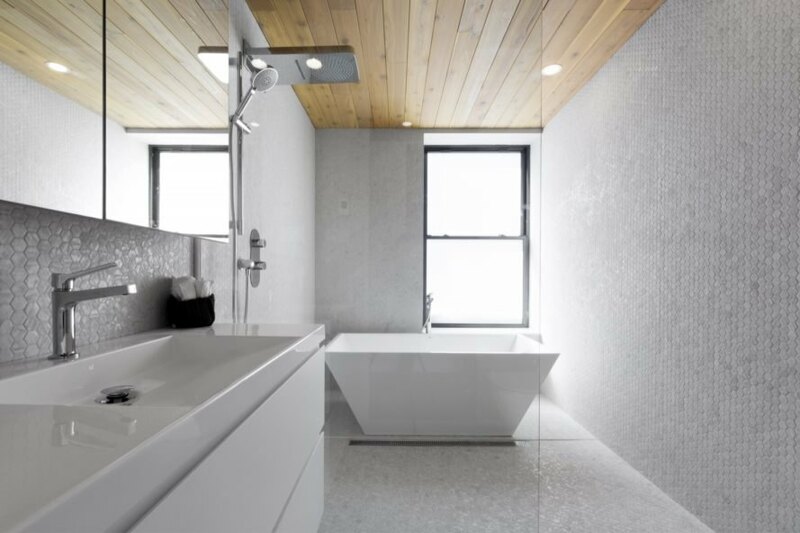 A former industrial warehouse in Montreal has been reborn as an airy and modern residential development thanks to the work of local architectural practice Blouin Tardif Architectes. Originally built at the turn of the century, the building has shed its manufacturing persona, yet the adaptive reuse project retains traces of its industrial past with exposed beams, tall ceilings and a brick facade. Dubbed Monument, the renovated building consists of seven contemporary apartments. Located in the heart of Montreal’s Plateau Mont-Royal district at the corner of Colonial Avenue and Demers Street, the building was first erected in 1905 for The Saint Louis Preserving Company. A major overhaul and expansion was carried out in 1933 after lingerie company Grenier took over the building; the company left the location in 2012. 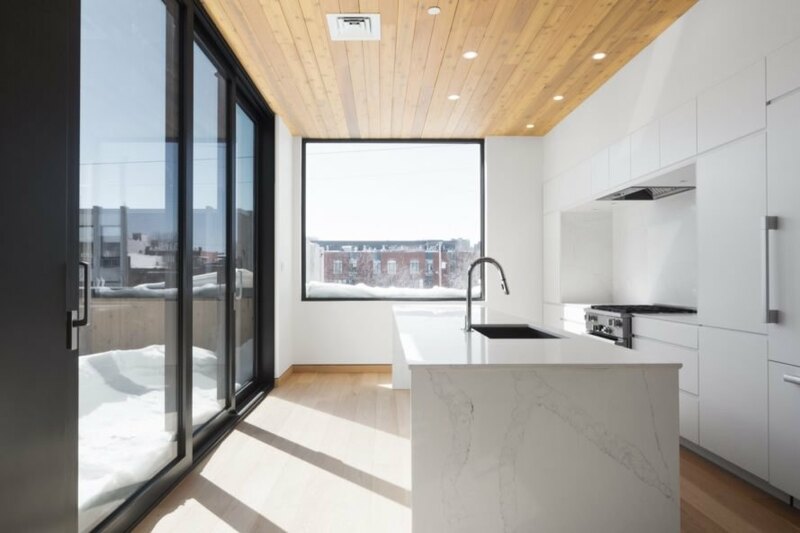 To pay homage to the building’s long manufacturing history, Blouin Tardif Architectes followed a minimalist approach that preserved the existing frame and material palette of steel, concrete and wood while creating additional openings to increase access to natural light. Renovated to include a new third level atop the existing two floors, the three-story building comprises seven spacious units with parking spaces tucked in the basement. The three units on the ground floor consist of two- and three-bedroom layouts each with a fully wood-finished loggia. Above, the second and third floors house four residential units styled as penthouse-style townhouses with courtyards and terraces. 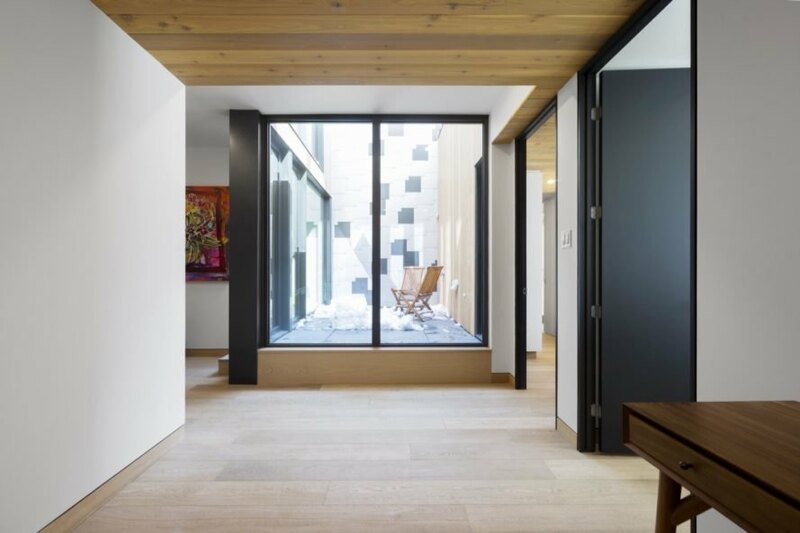 The bedrooms, bathrooms and office are organized around a courtyard on the lower level, and the living spaces and a private outdoor terrace are located in the new extension above. Through the preservation of the building’s historical, architectural details, such as the brick masonry, and the addition of modern design elements, Blouin Tardif Architectes tips its hat to the former preservation company — which was known for making jams, pickles and hot sauce — as well as the lingerie company that called the building home for more than 80 years. This historic warehouse has a long past in manufacturing. 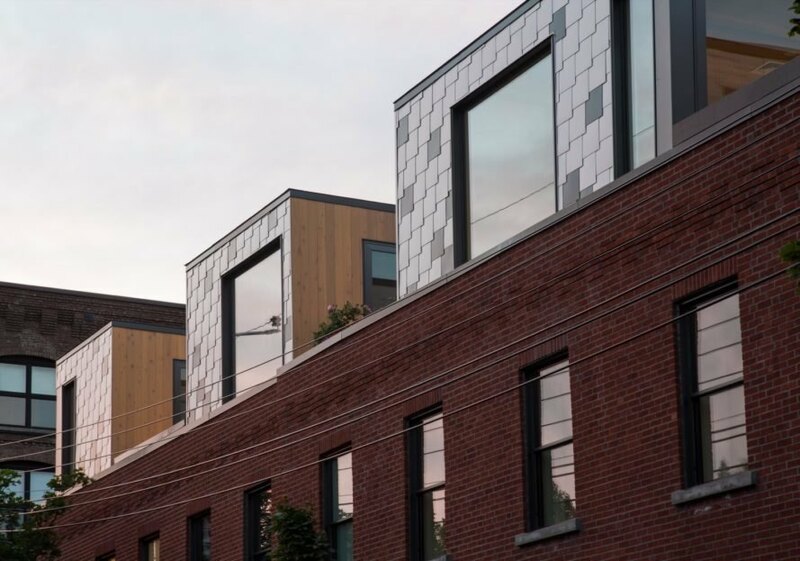 Blouin Tardif Architectes maintained some of the building's industrial touches while upgrading it into chic apartments. 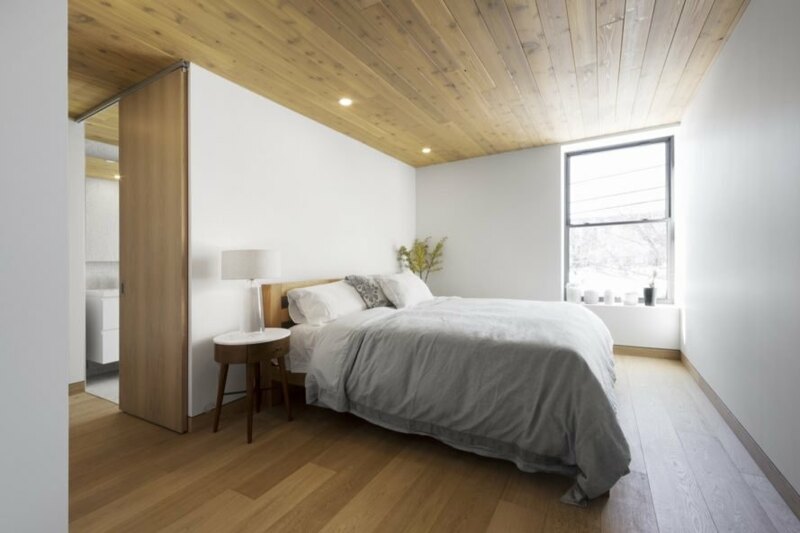 Each room features a simple materials palette of wood, concrete and steel. The team also added several more openings to increase access to natural light. The building now houses seven modern apartments. The building formerly served as a warehouse for a food preservation business and a lingerie company. The architect kept many industrial elements to pay homage to the structure's history. The apartments blend historic and modern features. 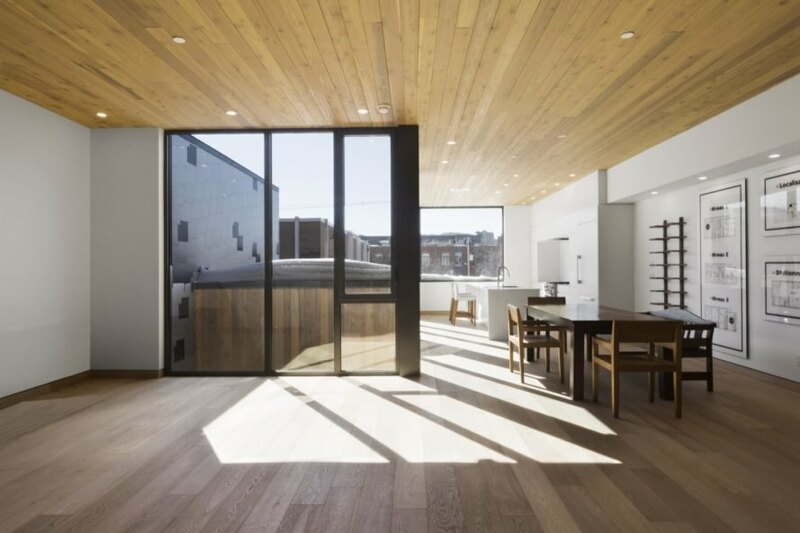 What was once a two-story warehouse is now a three-story luxury residential development.